Argo‘s Stars in Education is an annual campaign that recognises teachers who go the extra mile in their communities by being inspirational role models to all around them, changing lives through their actions. It was Argo, the multi-media solutions provider, that realised that teachers were not being recognised enough for the invaluable role they played within their communities. Staying true to its brand values “to inform, involve and inspire”, Argo decided to start the Stars in Education project, and in just six years it has grown from strength to strength with the quality and variety of entries that is truly inspiring. We encourage you to send your uplifting stories of a teacher who has shone in a project outside of the classroom and has gone above and beyond in their community, creating a positive ripple effect throughout the region it touches. 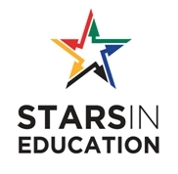 Past winners of the Stars in Education Awards include, Ms. Thabo Motaung who won top honours with the Thari Mmelegi Orphanage that she created out of the need for children’s care born out of the loss of parents in their community to HIV/AIDS. Put forward by one of her students, Tebogo Motsueyane from the Bana Pele Primary School in Rustenberg, this incredible teacher received first place for her commitment to this cause and for successfully running this project for the past five years. When asked what made her start the project, Thabo explained that their small community was losing their youth and leaving the aged to look after the orphaned children left behind, often with no income except social grants. This orphanage supplies much needed care for these orphans and therefore assists the elderly in the community by reducing their financial responsibility for the children. The facility provides a safe haven for the children where they are fed and clothed and even offered counselling and medical care. Thabo’s role in this orphanage is an all encompassing one, from securing funding to acquiring sponsors and developing structures – she is a real pillar of this community and is commended for her role in this small Rustenberg. In 2011, Phuti Ragophala a school principal who has established a community farming project at her Pula-madibong Primary School in Mankweng, east of Polokwane to help impart skills and create jobs for the mostly illiterate locals won the Stars in Education initiative. Mokone Peter Mofokeng from Kroonstad in 2008 with his ‘Alternatives to Violence’. In 2009, Mam Maluleke was awarded the Stars in Education award for her ‘Orphans and Vulnerable Children’ project in Limpopo, and last year Roslyn Narain from Durban was recognised for ‘Roslyn’s Academy for Adult Learning”. The competition is national with the awards taking place in the latter part of the year. Entries have historically been submitted by teachers themselves or by learners. It does not matter who submits the entry, it is all about recognising and appreciating the valuable role that teachers play in shaping our communities.